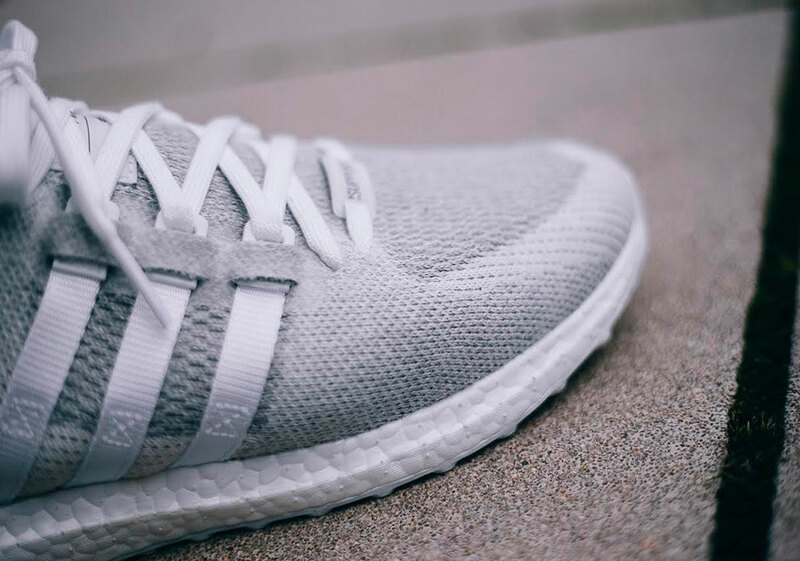 The Pusha T x adidas EQT Boost is still slated to release in Europe on January 28th, but if you’re looking for a simpler construction of the new adidas EQT Boost model also known as the adidas EQT Support Ultra Primeknit void of the collaborative fish scales and greyscale colorway, we have some good news. 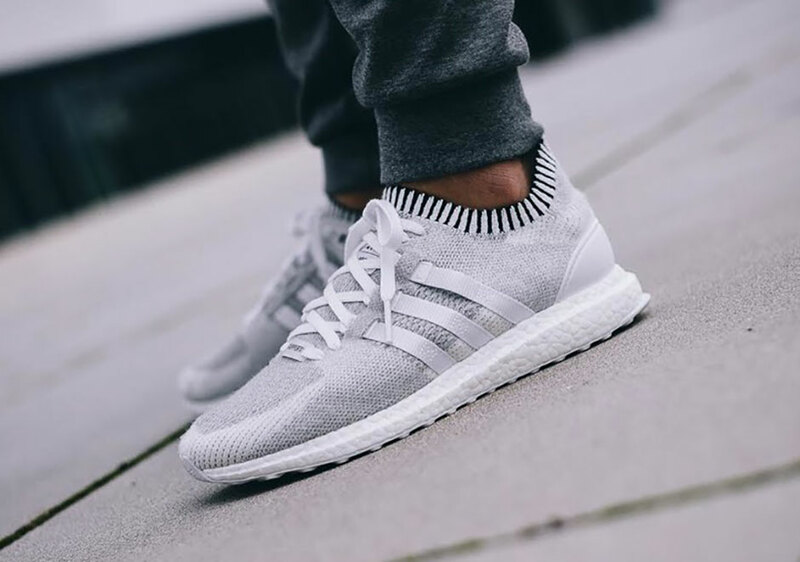 Today we get a look at the adidas EQT Support Ultra PK in an updated “Vintage White”, a no-frills aesthetic that combines inspiration from the adidas EQT Support 93 with the adidas Ultra Boost for a comfortable everyday go-to. 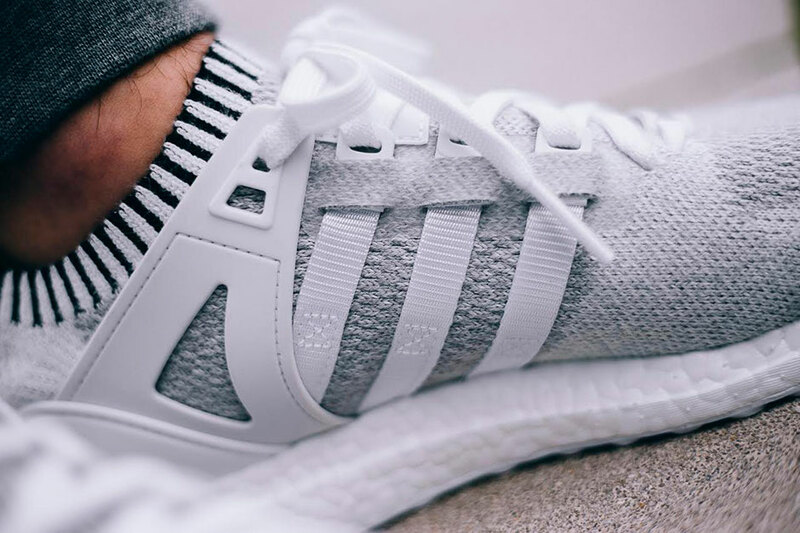 The adidas EQT Support Ultra PK debuts its first general release colorway featuring touches of a contrasting Core Black on the ankle collar while the side panel ribbon branding matches the Primeknit upper and Boost midsole for a near Triple White look. 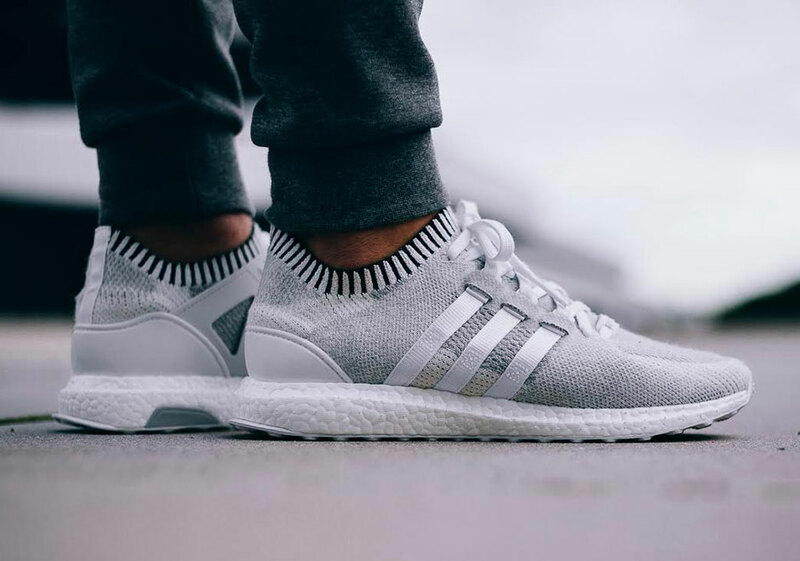 What do you think of the update combining adidas’ latest and greatest running technology with a blast from the past in the adidas EQT line? 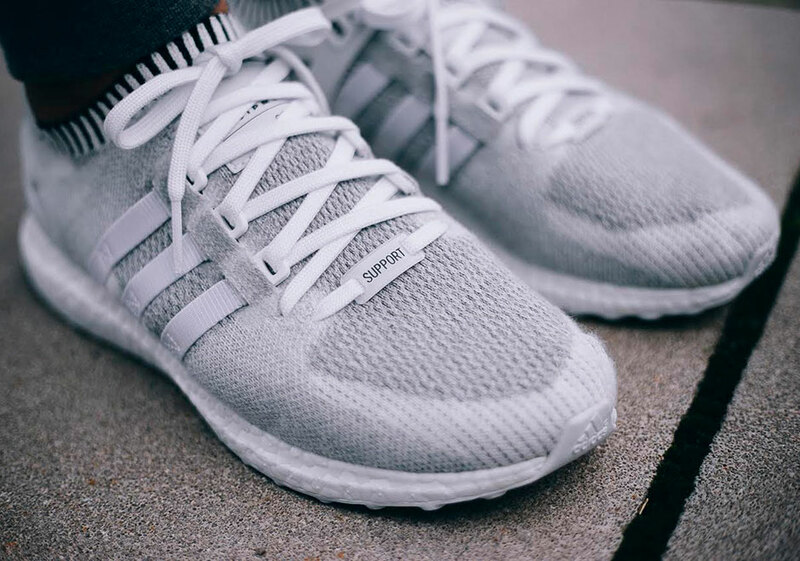 There’s no word yet on a stateside release date, but with international availability already secured from shops like BSTN, you can expect a release in the near future.